I only found the work of Lauren Carr a few years ago. Although late to the game compared to her other fans, I dove immediately into deep water and have managed to read all of her full-length books. However, this is the first time I've had a chance to read shorter works by this author. All I can say is "Bravo." Spring Thaw contains seven short stories - Spring Thaw, Killing Bid, Beauty to Die For, Countdown to Murder, Lucky Dog, The Gnarly Rehabilitation Program and A Gnarly Christmas. They all contain what I consider Carr's classic strengths - intelligent, strong characters (both men and women), quirky pets that can steal the limelight, interesting story lines, a plot that needs solving (sometimes darker, sometimes lighter) and humour (sometimes a touch, sometimes an all out party). And despite the shorter length, each story was still fully told. What was best about reading this book of short stories, it that often I lose sleep when I start a new Carr mystery. I just keep turning those pages until the wee hours of the morning, totally caught up in the plot. The next day sees me happy but dragging. With Spring Thaw I was able to read just a story or two and put the book down while I savoured those stories on their own. This meant I finally managed to stretch out reading one of Carr's books for a full three days I think. WOW! A record for me. In the end, while I enjoyed all the stories, I particularly loved the humorous ones featuring Gnarly. He is one crazy character and his antics made me smile. I hope the author will consider offering more shorter stories in this format. It makes it so easy to tuck into a shorter period of reading into the end of a busy day. 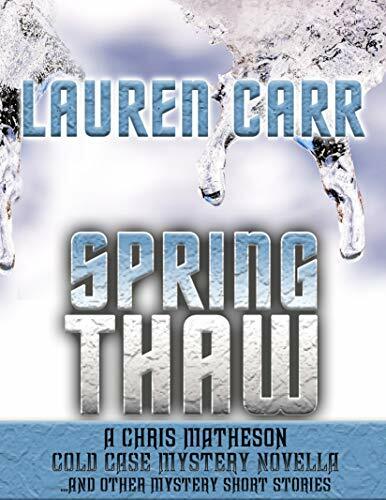 Thank you, Marilyn, for the wonderful review of Spring thaw! 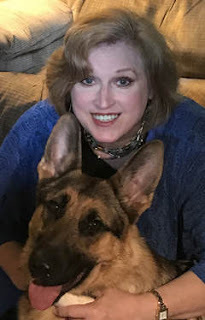 I am thriled that you have enjoyed these short but sweet and fun mysteries. Here's wishing each of your followers good luck in the giveaway!